I think someone got really excited about Colorado’s haul from the Senators that they just started ceding all of Ottawa’s picks in this year’s draft to Colorado. Trade Varlamov and get something in return. 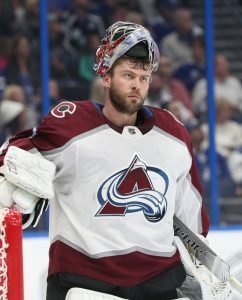 They have two guys that will hold it down in the meantime and considering they are going to be the goalies of the near future you need to see things out of them you don’t get on the bench or in the AHL.